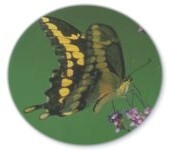 In 2002 twenty-three participants found 1,171 butterflies of 50 species. The Ojibway Prairie Complex received the majority of coverage. Paul Pratt led at Spring Garden Prairie ANSI. Karen Cedar led in Tallgrass Prairie Heritage Park. Betty Learmouth searched the Chrysler Canada Greenway and Canard Valley C.A. while Jeff Larson covered Spring Garden and portions of Black Oak Heritage Park. Thomas Hurst explored the Ojibway Prairie Provincial Nature Reserve and Paul DesJardin's group concentrated on the LaSalle Woodlot, Black Oak Heritage Park and the lower Canard River. The count was hosted by the Ojibway Nature Centre, Windsor Parks & Recreation. The Friends of Ojibway Prairie sponsored a picnic lunch which was provided by Deb Waugh. The weather on count day was perfect for butterfly watching with lots of sunshine and warm temperatures. Despite this the number of total individuals was low (37 per party-hour). 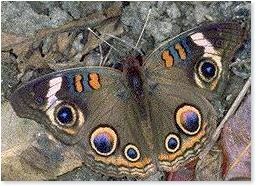 Perhaps the cold wet weather in May followed by the recent hot dry weather had an adverse impact on butterfly numbers. 67 species have been recorded over the past nine butterfly counts. Gordon Barnett, Patricia Broad, Margaret Calder, Heather Anne Campbell, Karen Cedar, Tyler Denis, Paul DesJardins, Kristen Fawdry, Ruth Hart, Barbara Hayes, Thomas Hurst, Jeff Larson, Betty Learmouth, Kathy Lesperance, Larry Onysko, Paul Pratt, Juliet Renaud, Pauline Renaud, Bonnie Ross, Julia Saurazas, Laura Southcott, Ian Woodfield. One Baltimore caterpillar and one Mourning Cloak pupa were also found during the count.